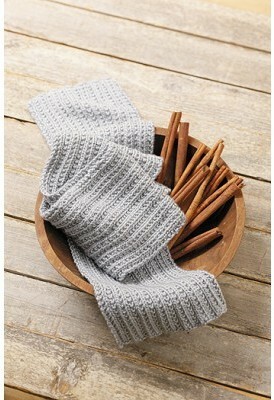 These nine beginner-level scarves by Margret Willson are quick and easy to make using the Knook. This specialized crochet hook creates true knitted fabric, while the attached cord completely prevents dropped stitches! 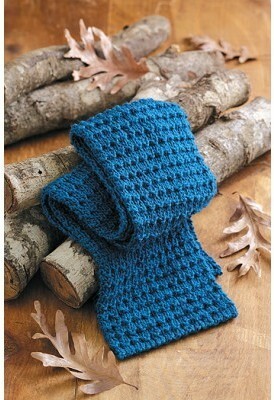 It's great for beginners or anyone who would like to learn to knit the easy way. Clear instructions on the basic technique are provided for both right-hand and left-hand stitching, while photos illustrate each step. 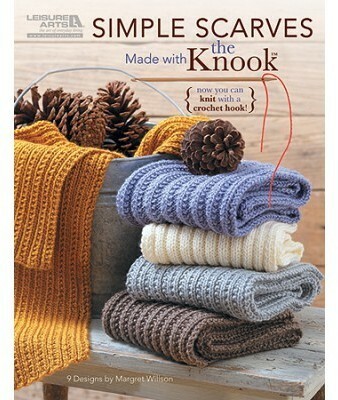 All the scarves feature medium weight yarn worked with the Knook in classic rib knit patterns: 2 x 2 Rib Scarf, Beaded Rib Scarf, Cartridge Rib Scarf, Mistake Rib Scarf, Textured Rib Scarf, Twin Rib Scarf, Wavy Rib Scarf, Waffle Stitch Scarf, and Knit and Rib Scarf.